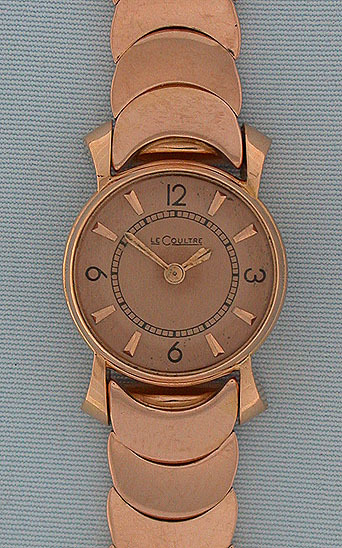 Retro style LeCoultre back-wind pink 18K gold ladies back-wind vintage bracelet wrist watch circa 1950. Original pink dial with applied markers. Back-wind 16 jewel movement. 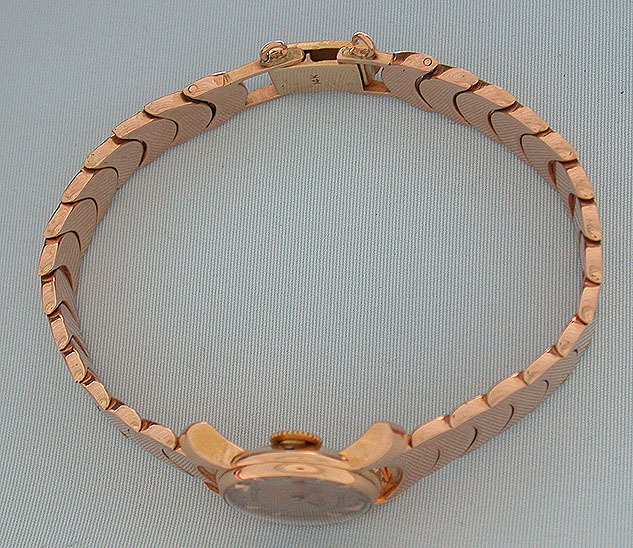 14K bracelet. Overall length 6.75 inches. A most attractive design.